The bourgeoisie often thinks that being a millionaire is easy-peasy and that life in the top tax brackets is all fun and games. While most of us would agree that having tons of money surely facilitates a few things in life, it also creates big and annoying problems that mere mortals don't have to deal with. For example, what is a superyacht's best land companion? Berlin-based designer Theodoros Fotiadis is on a mission to tackle this challenge head-on, and judging from these images he's kindly shared with The Drive, we'd dare say that he's created a land-superyacht alright. 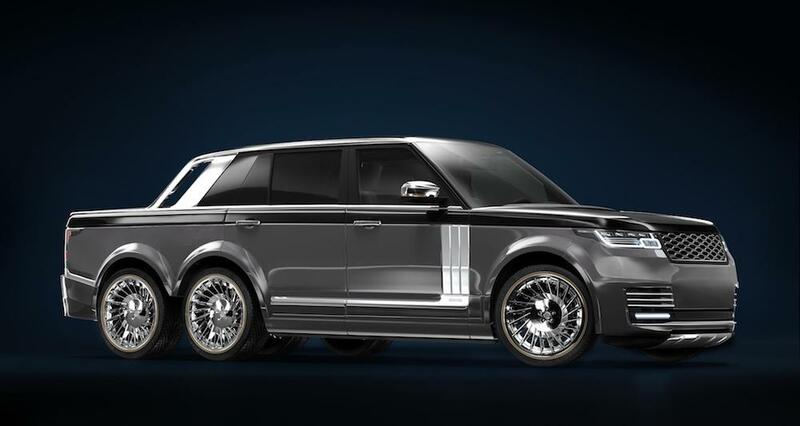 What you have before your eyes is a long-wheelbase Land Rover Range Rover that's been stretched further, awarded an extra axle, two more drive tires, and a pickup bed. Why? Uh, why the heck not? 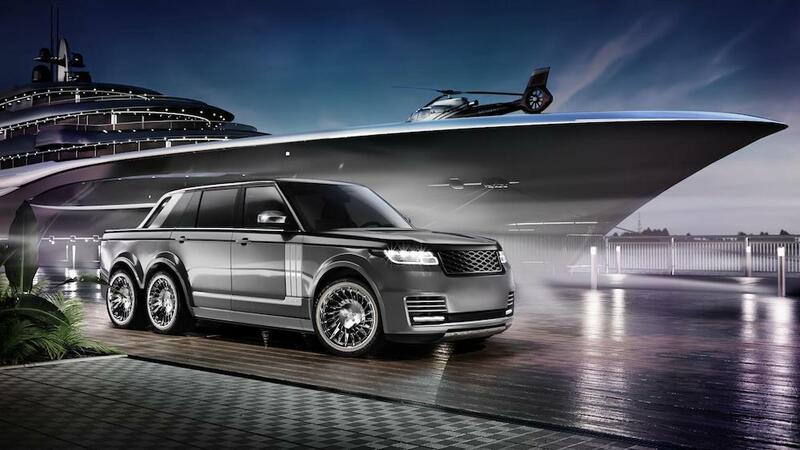 According to Fotiadis, the 19-foot-long behemoth dubbed the "T.Fotiadis Superyacht Land Tender-SLT" caters not to yacht owners, but superyacht owners (in case that wasn't already established by the images and grandiose persona of the six-wheeled beast) who appreciate fine automobiles, and require style and finesse while docked at one of the world's most exclusive yacht clubs. 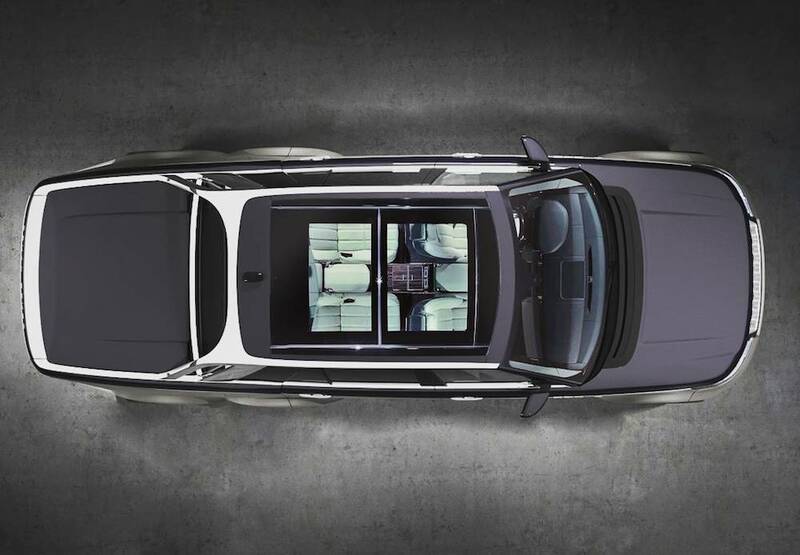 And speaking of exclusivity, each unit will be tailored to its owner's specifications and even receive a new VIN. How do you go about buying one of these, you may wonder? 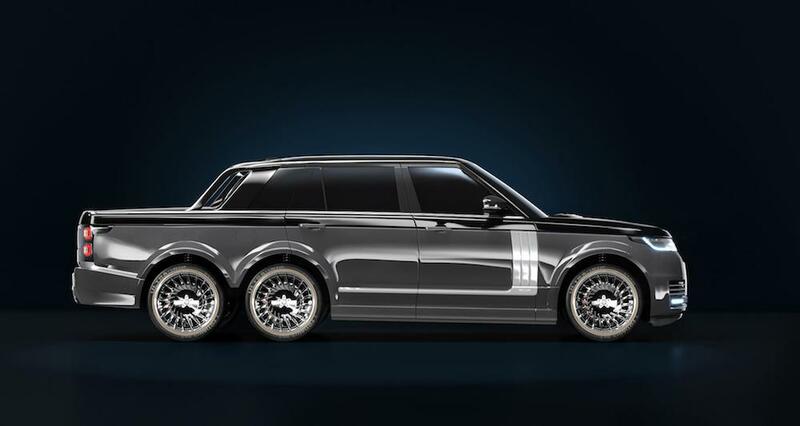 Easy, just give the Berlin design studio a call, and they'll source the Range Rover and do all the modifications for you. One stop shop. "It is designed to be a superyacht tender. Until now, superyacht owners arrive at the dock aboard their 30-foot tender limos and then have to use Maybach or Rolls-Royce to get around town. The SLT is a vehicle dedicated specifically to the yachting world and style ambassadors," Fotiadis told The Drive. See, rich folks don't have it as easy as you think, because once they dump their generic Maybachs and acquire one of the limited-production, coach-built SLTs to match their massive yacht, they have to worry about finding a spot big enough to park it. The struggle is real.